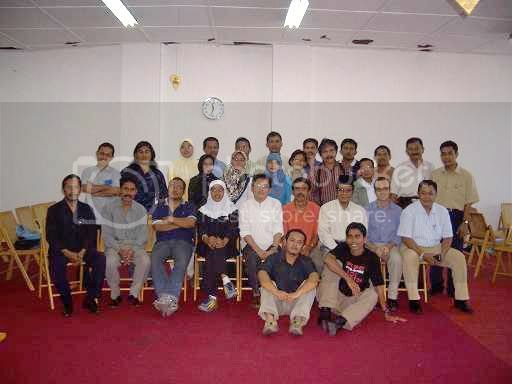 A. Karim Syekh, A. Rani Usman, Ade Irma, Ahmad Syauqi, Andreas Harsono, Arif Hamdan, Ayi Jufridar, Bachtiar Gayo, Bukhari Muslim, Chik Rini, David Case, Donna Lestari, Fakhurradzie, Fakri, Firmansyah, Hotli Simanjuntak, Husni Arifin, Jailani, Linda Christanty, Luthfi Aunie, M. Sufi Abdul Muthalib, Maemun Saleh, Muhammad Saleh, Murizal Hamzah, Nani Afrida, Saidulkarnain Ishak, Sjamsul Kahar, Suardi Saidi, Syukri Syamaun, Tarmizi, Uzair, Yasran, Yusny Saby, Yusri, Zainuddin T.
Andreas Harsono summarized the ICFJ paper in a Power Point presentation. It took about 15 minutes. It includes Carolyn Robinson’s suggestions to bringing in visiting fellows to teach and mentor in IAIN; revitalizing student media outlets; curriculum development; English-language journalism research training; overseas university partnerships and exchanges; internship program for the students; media annual awards etc. The paper’s Indonesian translation was three days earlier made available in the participant’s invitation but also once again in the meeting room. Each one got a folder with a note, a ballpoint and the paper. Later books on the IAIN curriculum as well as a Pantau book on literary journalism were also distributed. Yusri of IAIN divided the participants into three different groups. Each group has between eight to 10 people. They moved into their respective circles. Zainuddin T., Andreas Harsono and Sjamsul Kahar led the discussion groups. The discussion took place until 11:30 and the groups took a photo op, a lunch break and the Friday prayer. Many were also involved in informal talks. Yusny and Sjamsul talked with Case. Most men went out to a nearby mosque. The second session began again at 1:30 pm and ended at 3:00 pm although some people stayed on with informal talks. Muhammad Saleh of Modus weekly talked about politics with the lecturers. Each group sent a speaker to present their results in the forum. It was quite rich. They basically welcomed the proposal, expecting the ICFJ to help raise funds, send Knight Fellows, develop curriculum etc. Some remarks were also quite critical toward how Jakarta handles the so-called “national curriculum.” IAIN could only handles 60 percent of 145 credits a student should take. The 40 percent should be “national curriculum” courses. The forum decided to hold a smaller meeting later in the evening to summarize the groups’ presentations. It is needed to set the priorities. Case said it is important to work first, showing donor agencies that we could develop IAIN journalism school without waiting for the big funding. 2. While waiting for Knight Fellows to visit and to help teach, the group will start employing Aceh journalists to be “extraordinary lecturers” (dosen luar biasa) to teach classes. The problem is IAIN could only pay Rp 8,000 (80 cents) per visitation. “It is even not enough to pay for the gasoline,” said Saleh. Yusri said it is a national standard. IAIN could not change that standard. Andreas compares with Jakarta’s Universitas Pelita Harapan, once offered him to teach, that pays Rp 400,000 ($40) per visitation. The group realizes IAIN should be sustainable. It should not pay a Jakarta price. They decided to set the platform at Rp 100,000 ($10). 3. David Case will help establish the editorial board of the inactive Ar Raniry Post newspaper. Case and Yusri will organize a student journalist’s workshop in Sabang next week. They will use the occasion to select Ar Raniry Post staffers. The budget to print the newspaper is available. Other student outlets, including the student radio, should be handled separately. The radio has a transmission problem (too powerful for a community radio). 4. Curriculum will also be changed. They would like to hear from Peter du Toit, a South African journalism lecturer, who will come to Aceh to have a workshop next month. It is needed to compare notes. Andreas also mentioned Janet Steele, a George Washington University professor, who is now a Fulbright scholar in Jakarta. She might be interested to help IAIN. 5. English courses will wait for the ICFJ. The forum also suggested that these courses should open opportunities to non-dakwah students and working journalists. The forum believes that many non-dakwah students become journalists too. 6. Internship program could be done Banda Aceh, Jakarta and Kuala Lumpur. Aceh editors, who were present in the forum, welcome IAIN students to work in their newsrooms. They will also provide some pocket allowances. They included Serambi, Modus (5 slots), Ceureumen (6 slots), Acehkita (2-3) and Aceh magazine. Andreas said Pantau Foundation might help to seek the internship in Jakarta newsrooms. He will also try to approach Kuala Lumpur editors. Andreas used to work for The Star daily in KL. But IAIN should first train the students who will seek internship –at least when the formal course are not fully developed yet. Yusri agrees. Case will also help. The Malaysian internship needs journalists who master English. 7. Re the media annual awards, IAIN will select a committee, which includes journalists, to set up the criteria and to give a recommendation to IAIN. The forum welcomes this idea, believing that it will help improve journalism in Aceh. Mas Andreas, salam kenal. Saya diam-diam suka membaca artikel mas Andre di blog ini. Saya banyak belajar menulis di sini. Ehm, kapan bisa ketemu neh untuk menimba langsung dari mas Andre soal menulis, khususnya jurnalistik. Saya sendiri lagi jadi penulis pemula. Tulisannya masih belepotan. Kalau ada waktu senggang, mampir tuh di blog saya: Klik aja www.peziarahmuda.blogspot.com. Tulisannya emang campur aduk, campuran filsafat, refleksi, feature, esai kecil, dan yang jelas masih terus belajar menulis neh. Syukur-syukur mas Andre bisa ngasih komentar juga. Dulu, saya juga penggemar Pantau, khususnya feature dan jurnalisme sastranya. Asik, mendalam, tidak membosankan. Okay, salam kenal, dan kapan ya bisa ketemu? Saya sudah browsing weblog Anda. Sempat baca "The New Rulers of The World" dan "Menggali Harta Sang Alkemis." Saya terkesan dengan kerapian Anda. Suka deh melihat anak muda yang mulai menulis dengan rapi, tidak belepotan, modal awal buat analisis yang lebih dalam. Hati-hati saja dengan frase "bangsa Indonesia" mengingat proyek bernama "Indonesia" ini mengandung banyak manipulasi. Selamat ya. Saya sempat browsing weblog Anda. Well, Anda suka dengan Dawam. Saya simpati dengan orang yang lagi kena tendang pengurus Muhammadiyah soal Ahmadiyah itu. Dawam orang berani. Kebetulan saya dulu sering ikut diskusi ketika saya masih di Salatiga. Saya juga dengar soal Lembaga Kajian Agama dan Sosial (LKAS) di Surabaya yang Anda pimpin. Apalagi keikutsertaan Anda dalam Muhammadiyah Young Intellectual Network. Selamat berjuang deh. Soal teknik blogspot, jujur saja, saya sama butanya dengan sampeyen. Blog ini dibuatkan oleh rekan saya, Agus Sopian, yang ada di Bandung. Dia yang bikin disain. Dia yang melatih saya. Kalau ada troble, dia juga yang bantu betulkan.